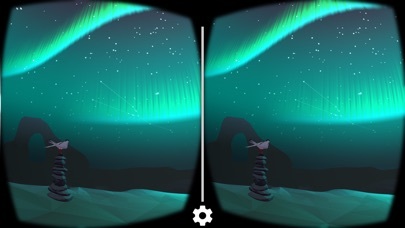 Cardboard puts virtual reality on your iPhone. 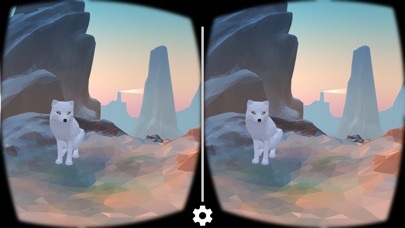 The Google Cardboard app helps you set up a Cardboard viewer and includes a few experiences to get you started: Explorer: Explore exciting environments. Exhibit: View 3D objects from a museum collection. Urban Hike: Take a hike through iconic cities around the world. 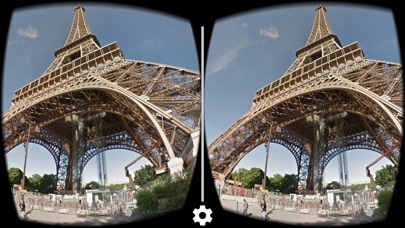 Kaleidoscope: Enjoy a fun stereoscopic take on the old classic. Arctic Journey: Fly alongside Arctic terns, create your own flower garden, relax under the northern lights and more. 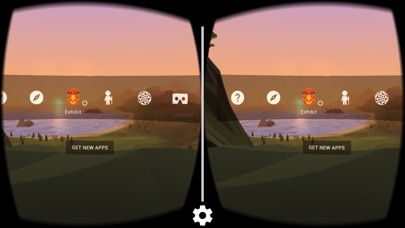 To fully enjoy this app you'll need a Cardboard viewer. Learn more and get your own Cardboard viewer at http://g.co/cardboard. Supported devices: iPhone 6 Plus, iPhone 6, iPhone 5s, iPhone 5, iPhone 5c. Do not use this app while driving, walking, or otherwise by being distracted or disoriented from real world situations that prevent you from obeying traffic or safety laws. I think it is great good game and I love the graphic style and the games that the game has are good. But there is so few things to do the game is so bland and almost nothing to do.☹️ I thought there was more when I downloaded this! From the picture there was a lot but not really. Please add more PLEASE! I love this game really i do but nothing to do !!! Can’t run anything. Fairly useless right now. App crashes 100% of the time. As someone else has noted, they could not get this app to stay open as it kept crashing. Since I only have this phone, I can’t even try it on another phone. 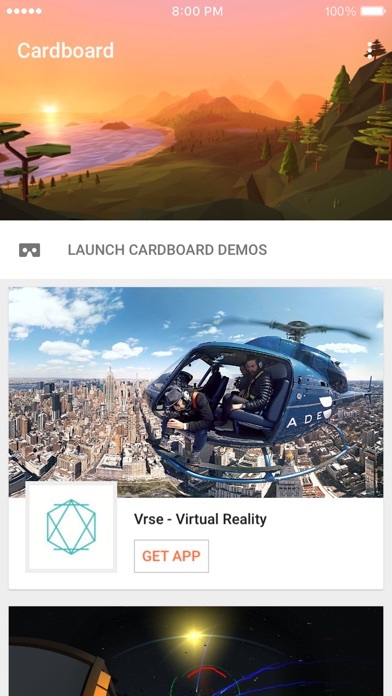 I can’t download any of the other apps for Google Cardboard because I need to have the Google play store, which I don’t have on an iPhone. I can still take my own photos in Cardboard Camera, which is OK, but it’s disappointing that this app’s support leads to nowhere so I can’t even get help. I have seen other comments like this. The problem is that whenever i hit the launch demo button it crashes. I am extremely frustrated. Please fix this problem.